Got the itch to switch? It's all the buzz in the blogging world, it seems. Is Blogger better? Should I switch to Wordpress? All my friends are doing it. Will I lose all of my information? No worries! If you've got the itch to switch, contact us! We can discuss your options and if you decide to make the switch, we can take care of it for you. Let's get down to Bid'ness! 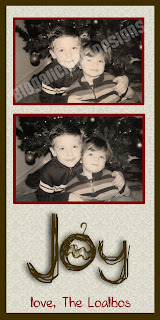 We have been busy girls and we wanted to share a few things with you today!! First, please remember that not only do we offer web and blog design, we also do graphic design!! 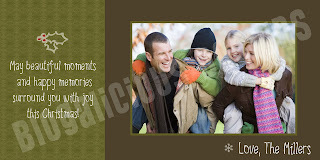 This is GREAT news for you because with the holidays right around the corner, you're gonna want to get a head start on your holiday cards for friends and family!! 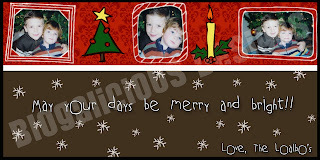 If you'd like more information about ordering your own Holiday Cards (or any type of Photo Card), click HERE to get started! Here's What's Cooking: This is a site we did for one of our great friends from church. Steph and I have known Carolyn for years and have ALWAYS LOVED her food. It's about time she started a site sharing her menus! I'll be going every Monday to her site for dinner ideas for sure!!! 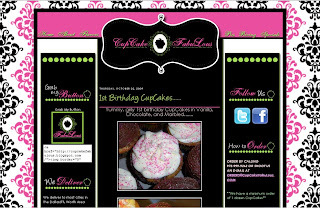 CupCake FabuLous: This was a re-design for a previous client. Meleah came to us a while back for a blog with navigation and recently changed up her logo so she needed her site to reflect that change. We got to work and voila!! 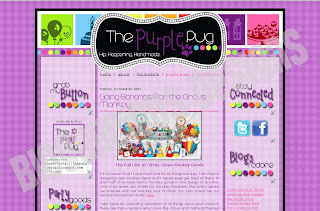 The Purple Pug: This is an awesome website where you can order party supplies, invites, decor, etc.Kristy decided she needed a blog to talk about all the cute stuff she creates. If you're in the market for party themed creations, this is the place to go!! 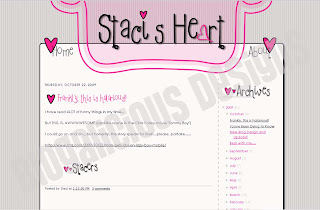 Staci's Heart: And then there's Staci (you know, the other half of the Blogalicious Duo)! She thought she needed a new look... whatcha think?? Super cute, huh?? ?